A Caesarean section is a major abdominal surgery. If you've recently had a C-section, your body will need several weeks to heal. Your doctor may tell you not to use the stairs for a week or more following the procedure. Always follow your doctor's advice to speed your healing and prevent injuring yourself. 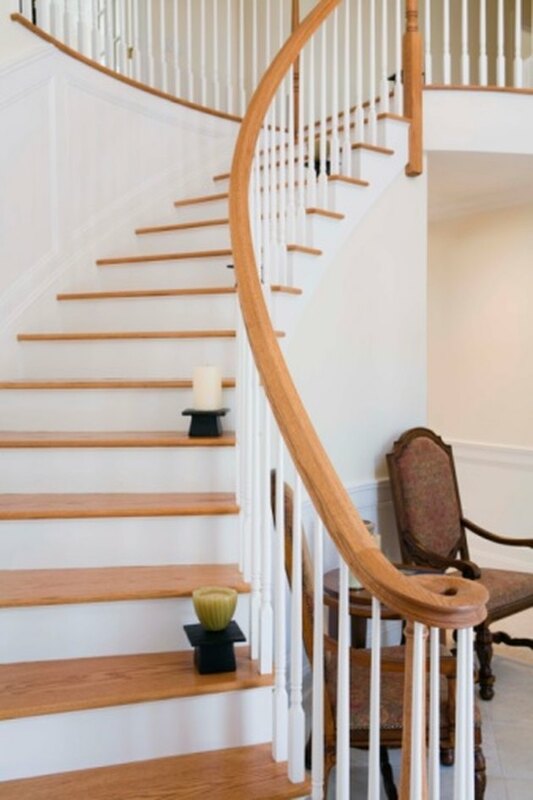 Once you are able to resume using the stairs, follow a few steps to help climb up and down without further injuring yourself and delaying your healing. Avoid using the stairs when possible for several weeks after your C-section while your body is still healing. If your bedroom or your new baby's bedroom is upstairs in your home, relocate yourself and your infant to the main floor of your house temporarily so you don't have to climb up and down the stairs several times a day. Move slowly and carefully as you go up and down the stairs. Ask a friend or a family member to help you, giving you support as you need it. Take a break if you feel pain or become tired while using the stairs. Limit your trips up the stairs to once a day if you can. If your bedroom is upstairs, bring everything you need with you down into the main area of your house in the morning so you don't have to climb the stairs during the day until you are ready to go back to bed. Or move your baby and her things into your bedroom so you can spend your days recovering in bed with everything you need nearby. Do not carry anything heavy when going up and down the stairs after your C-section. Do not carry your baby's infant carrier when using stairs to get in and out of businesses or stores. When you go out, bring someone with you who can carry the baby carrier for you. Don't hesitate to ask your friends and family members for help while you are recovering from a C-section. If you don't have family nearby, consider hiring a postpartum doula, who can help you with day-to-day tasks while you are healing. Don't overdo it. Using the stairs or lifting heavy objects too soon after a C-section could cause serious injury or impair your body's ability to heal itself. How Soon Can You Drive After Delivering a Baby?